Just like any other game, the way golf is being played has greatly evolved and technology advancements played a very significant role on this. In most cases, different accessories have been developed to help players like you play the game more efficiently. One particular accessory that we will be talking about here is the golf rangefinder. Of course, the game of golf is about hitting the ball with the least amount of strokes. It is in this aspect that a rangefinder would be very useful for you as a golfer. You see, rangefinders for golf will help you determine the distance to the next hole. Using, then, the distance provided by the rangefinder, you will have a clear guide on what club to use in order for you to reach that target hole with the most optimum shots. Remember, in golf, you will always ask the question “how far?”. Whether, it’s the bunker or the tree or the sand trap, whatever it is, a golf rangefinder will tell you what that distance is. Accuracy will depend on what type of rangefinder you will be using though. 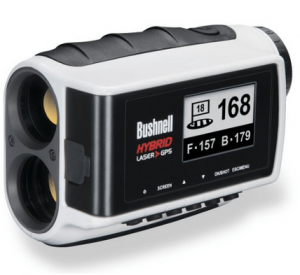 What Are The Types of Golf Rangefinders? There are basically three types of golf rangefinders: first is the GPS type, second is the Laser type and the third is the Hybrid type (which uses both the GPS and Laser type technologies). In this article, we shall try to list out the differences between each type and perhaps enumerate some popular models available in the market today. The first type, GPS rangefinder, uses the global positioning satellite technology to give you the distance of your target. As this type uses GPS technology, you will be able to see the course layout. This would mean you could see the distance between pins, the distance to course hazards, trees, etc. These are very valuable information especially when you are trying out a new golf course. The principal advantage of GPS golf rangefinders is that you do not need a target to base your measurement from as the data comes from satellite mapping. The downside of this type is that the accuracy is lesser compare to the laser type. The data for the course that you’re playing on should also be pre-installed in the unit for this to work. Some comes pre-loaded with thousands of courses found worldwide and some are for certain regions only. Other GPS models charge a membership fee and some do not, so you should be aware of this. 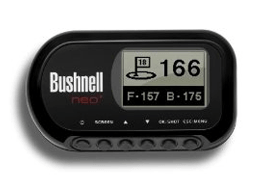 Below are some of the most popular models of golf rangefinders that use GPS technology. Check them out so that you will have an idea of what that specific brand or model is capable of. The list is not in any particular order. For the second type, the laser rangefinder, it uses laser technology to calculate the distance of an object, whether it be the pin or the tree or something else you want to know the distance of. The principle behind this type is the “time-of-flight” rule. The gadget calculates the time from when you press the button on the rangefinder and when the laser hits your target until it bounces back to your rangefinder. The accuracy of these models is better than the one that uses GPS. Plus, there is no need to download any golf course data unlike GPS-type models so no need to worry about ending up with the wrong course on your unit. The third type of golf rangefinder is the combination of both GPS and Laser technology. This unit gives you the advantages provided by the GPS-type rangefinders and also the greater accuracy and uniqueness of laser models. So there are three types of golf rangefinders available for you to choose from. Whichever you prefer would be dependent on some factors, one of which is cost. It makes sense to choose a hybrid model if you are that type of person that want to maximize every aspect to gain an advantage and improve your golf game. At any rate, any model you choose would definitely give you that required information to help you select a golf club to play on your next hole and be as efficient as you can be on your way to becoming a better golfer.